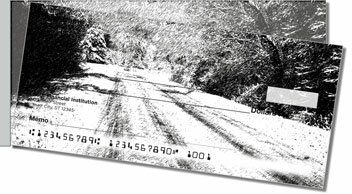 This set of personal checks captures the tranquil beauty of the winter season with artistic black and white photography. If you've ever walked through the woods shortly after a snowfall, you know exactly how peaceful it can be. All you hear is the gentle breeze and the creaking of trees as they sway. These images of nature are striking yet serene. 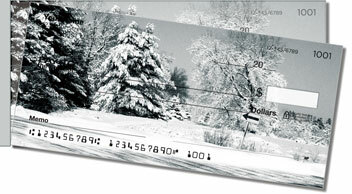 Winter Tree Side Tear Checks from CheckAdvantage are a unique selection you can only order online right here. 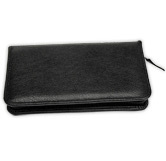 You'll be surprised by how easily checks can be pulled from the pad thanks to a handy side perforation. 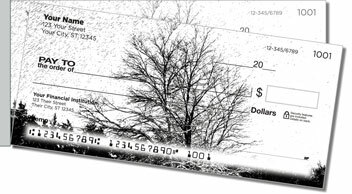 Get your own Winter Tree Side Tear Checks now! 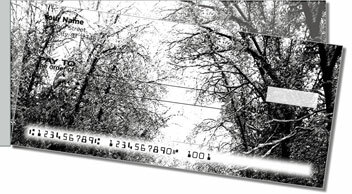 Complete your order by choosing matching address labels as well.